Katie Poole, Sinead McCready and Donna Elcock, three fast moving fitness instructors from Rochdale, have spun themselves into the Guinness Book of World Records, after breaking the female world record for running the fastest mile while hula hooping. 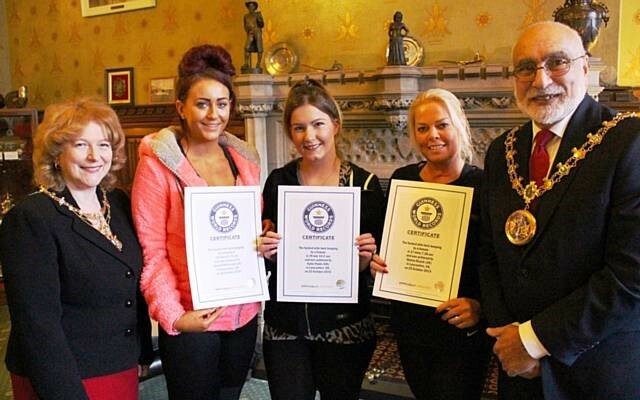 Katie, Sinead and Donna made the record breaking attempt last October, but this month discovered their hard work had been worth it after receiving official confirmation that they had all beaten the existing 20 minute world record. Sinead completed the mile in 14 minutes 24 seconds, Donna in 17 minutes seven seconds and Katie in 19 minutes 14 seconds, during a gruelling afternoon in the wind and rain at Kingsway Park Sports Centre. They were urged on by spectators, observed by official verifiers and a record keeper from Guinness. 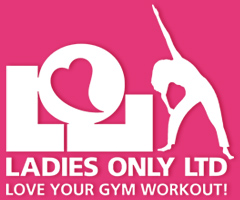 Ladies Only Ltd has different monthly offers if you have a Love Rochdale loyalty card. Loyalty cards can be applied for online at www.loverochdale.co.uk and entitle you to special deals at lots of fabulous local businesses. To find out what deals are available to cardholders go to www.loverochdale.co.uk. To calculate your ideal daily calorie requirement, you need your body weight, age and summary of your typical activity levels. But no-one sleeps 24 hours a day, so you need to assess your activities on an average 24 hour day to calculate your additional calorie burn. Account for your average 24 hour day with the number of hours in each category. Multiply the hours in each category by the multiple shown on the right. Add up the totals and divide the grand total by 24. The result should now be multiplied by the BMR reached in the first formula.